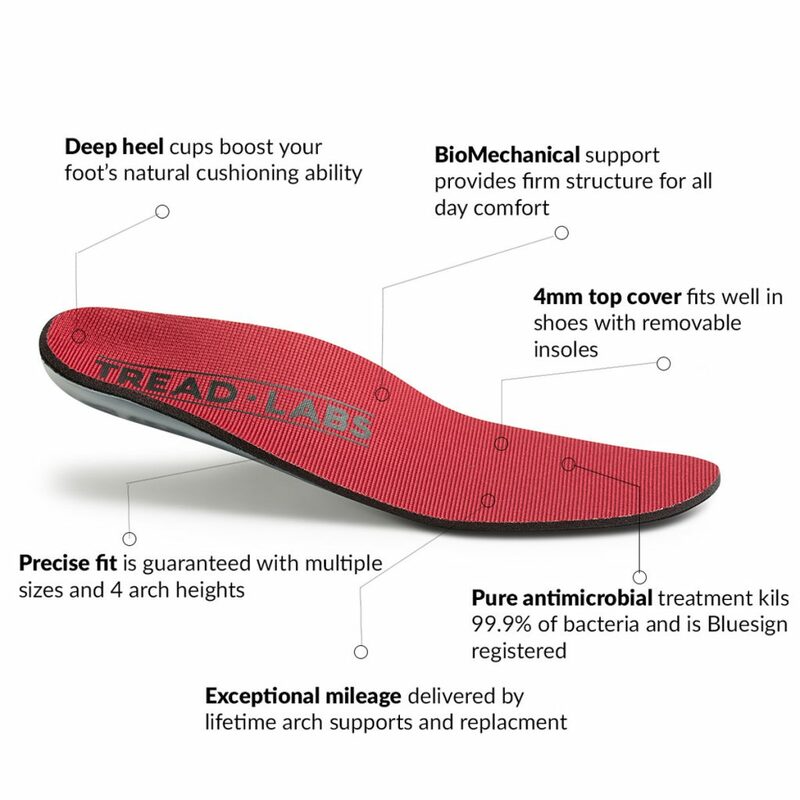 *Disclaimer: Tread Labs provided me with a pair of Stride Insoles for my review. All opinions expressed here are my own. I have always had a foot that has been hard to fit. When I was a kid we were constantly on a quest to find sneakers that fit my foot just right. This was a tough task with a narrow foot, a high arch, a high instep, a narrow heel and an over-pronating foot. As I have gotten older there are now many more shoe choices on the market which is especially helpful for me when it comes to running shoes. Sometimes however even with a good shoe you still ned to make adjustments which can include orthotics or adding in a different insole. Enter TREAD LABS . . .
Tread Labs sent me a pair of the STRIDE insoles to try. I was looking forward to trying a different insole for running. The first thing that I love about these insoles is that they are made right here in the USA! I also recently discovered that the former CEO/designer of Chaco Sandals, Mark Paigen, started Tread Labs (an you already know how much I love my Chaco Sandals)! 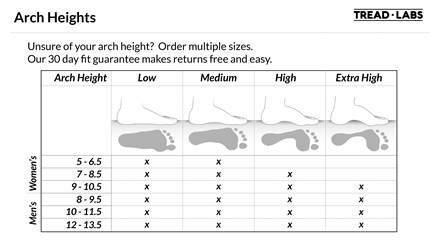 The Stride insole has medical grade arch support and you can choose from 4 different levels of arch support to ensure that you find the best fit for your foot. 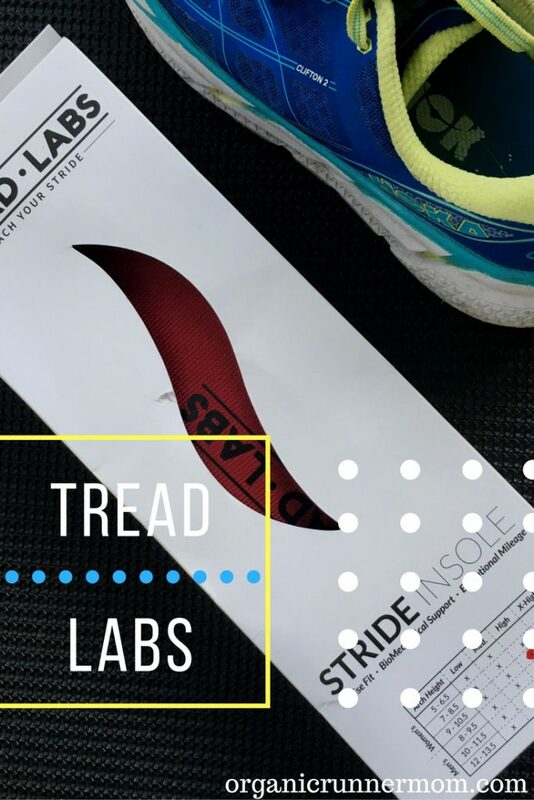 Stride insole from Tread Labs. Arch support. I often find shoes that I love but that lack the arch support that I need so I was excited that there is a high arch option. 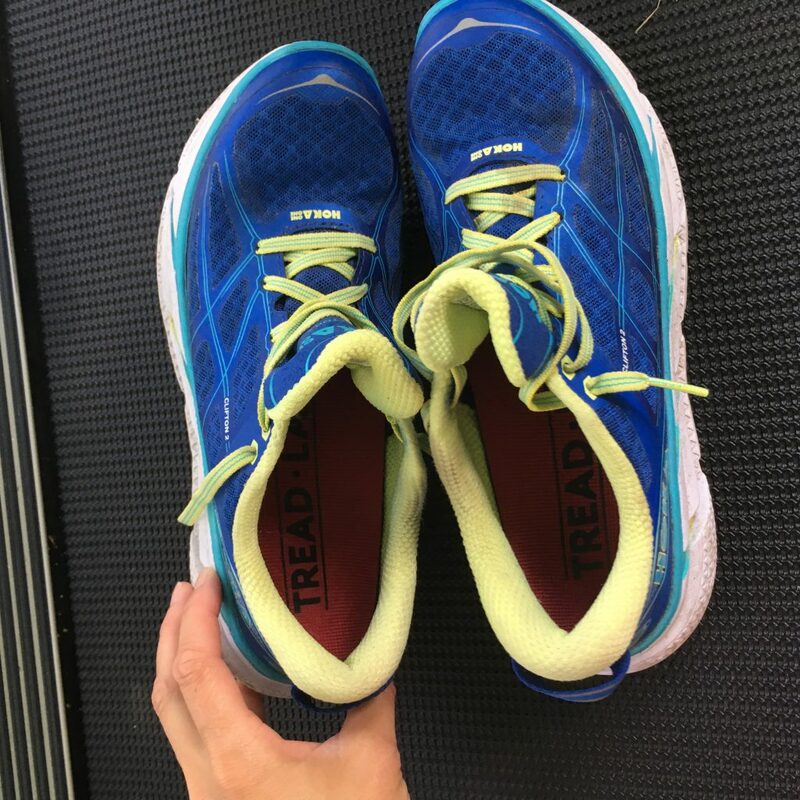 I chose to put these insoles in one of my current favorite shoes the Hoka One One Clifton which carried me happily through the Boston Marathon this year. Insoles in and ready to run! These shoes have a ton of miles which includes the insoles so I decided a replacement might be a good idea. I had ordered the size 9 high arch.The insoles were a perfect fit. I had anticipated needing to trim them but didn’t need to (although if you do need to trim yours check out the video explaining how-to trim). The arch support feels good under my foot without being too stiff. 30 day fit guarantee! If they don’t work, send them back free of charge and try a different pair. The Stride Insoles can be helpful for providing great stability for trail running! The heel cup in the Stride Insole will help to keep your heel in place by cupping it. These insoles are great for other activities and sports too! Try them for walking, running, hiking, cycling or skiing. 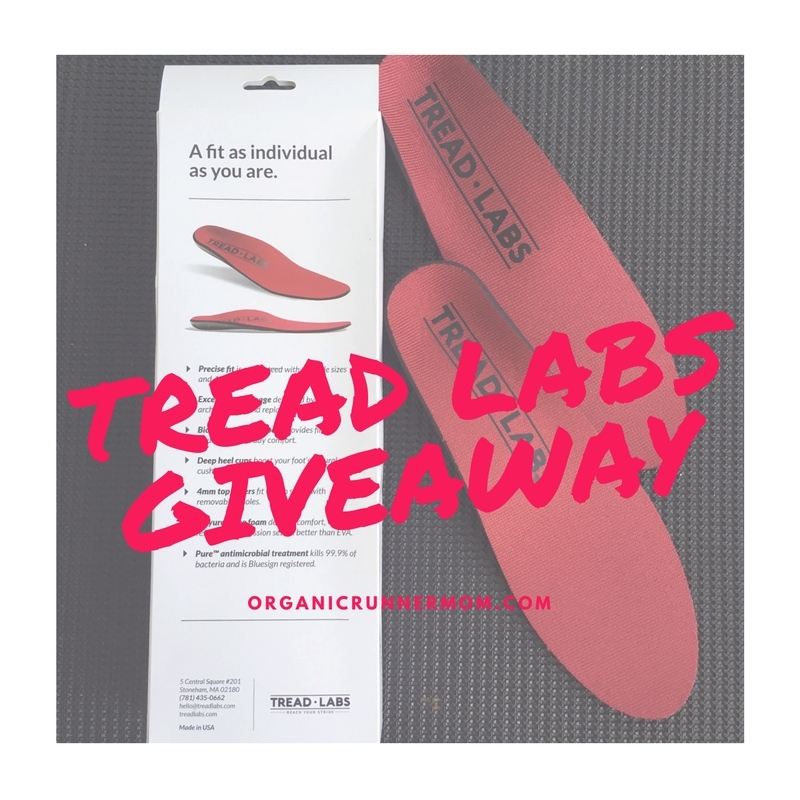 Now you can enter to win your own pair of TREAD Labs Stride Insoles! Please enter pass this post along to a friend! 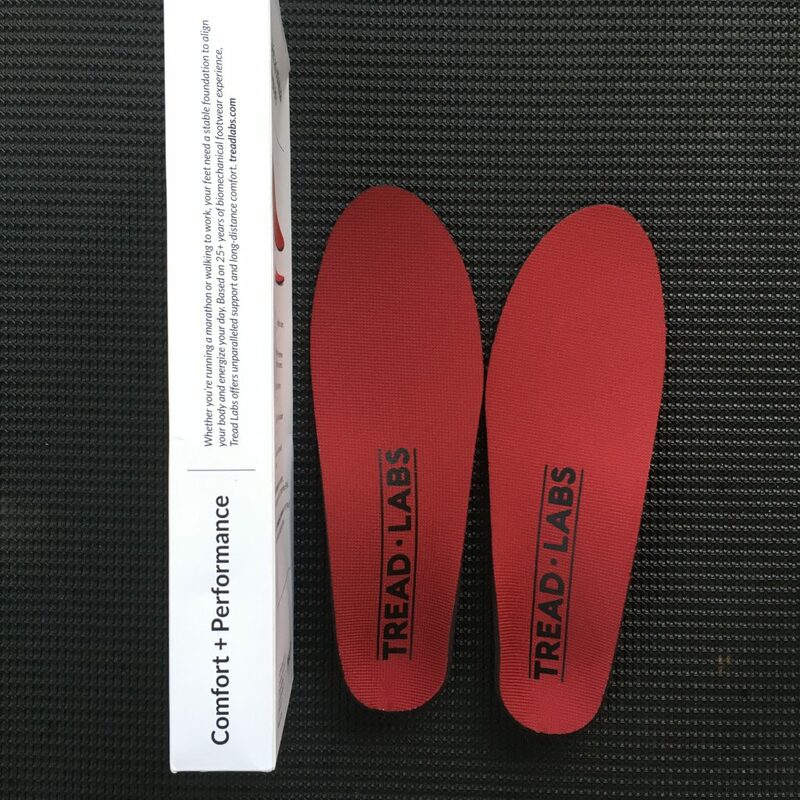 What sport would you wear your Tread Lab Insoles for? Do you every use orthotic insoles? I often feel like I need insoles… My feet are always a little off from being 100%. These sound like a great option to try! I’d love to try some insoles to help look after my feet when I run a half marathon at the end of a half ironman… I also wonder whether they would work in my cycling shoes. I do use insoles, and would use these for running! I never quite know when to replace an insole, and would love to give a new type a try! i would use it for long hikes, mostly walking i have tried the versions sold at local pharmacy before.